Eat breakfast, use our shop, we're prepared for every stop! Did you know? 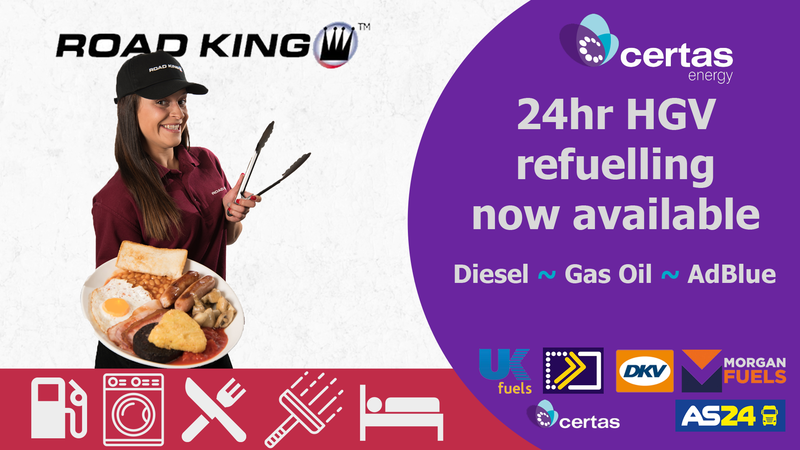 Roadking offer 24hr WiFi for our lorry parks? for as little as £2 you could be surfing the internet! Bonus Cards only £1! (when paid parking). 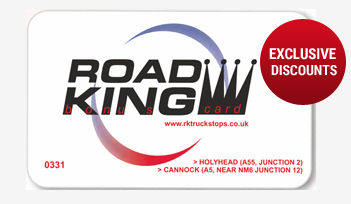 Get rewarded with a bonus card at all Roadking sites. Special discounts on meals and soft drinks 5% off any meal & free Tea or Coffee with main meals or breakfast meals. Plus, show your bonus card for a free refill, Tea or Coffee! Are you a HGV Driver? Would you like to receive promotional and special offer messages?